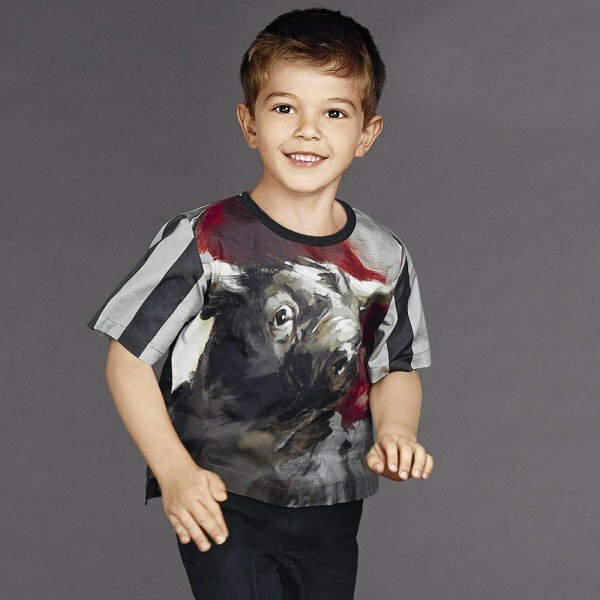 One of my favorite special occasion looks for boys this Fall-Winter season! Your little boy will look so handsome wearing this luxury red jacquard blazer from Dolce & Gabbana. Taken directly from the Dolce & Gabbana Men’s FW18-19 Runway Show at Milan Fashion Week! Perfect for a red-carpet event, this mini-me jacket has a silky fabric with an amazing imprint of cherubs, regal crowns, and flowers. Looks perfect with a matching pair of red jacquard trousers and vest. Complete the look with a black bowtie and D&G velvet crown loafer shoes. 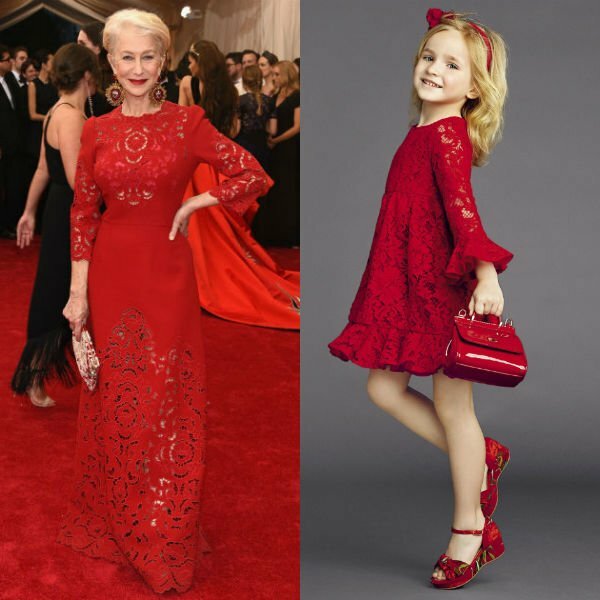 Unfortunately, this Dolce & Gabbana Boys Mini Me Red Jacquard Suit is not currently available. 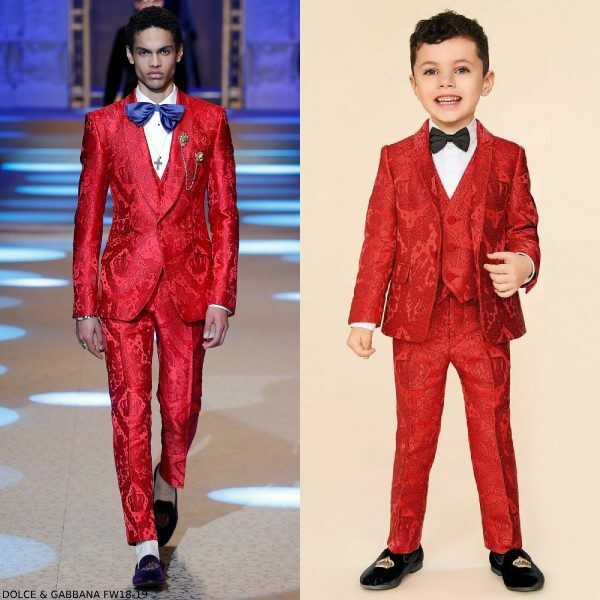 You can shop similar Dolce & Gabbana Boys special occasion suits from the current collection online.